A 13 inning game, the first time anyone has seen a runner on second to start an inning in extra innings. It was a crazy back and forth game but the Baysox were not able to come out on top. 2nd consecutive high scoring game for the Baysox many players contributed. 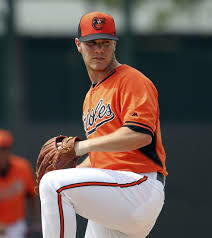 The Baysox win with a good pitching performance especially by Jordan Kipper going 7 innings and 8 strikeouts. Jordan Kipper is your player of the game. Not a good game from the Bowie Baysox, Keegan Akin goes 4 innings giving up 4 runs. Only 5 hits. I think Keegan Akin will be fine, just adjusting to the better competition. The player of this game is: Corban Joseph 1-3 and he did not strikeout.